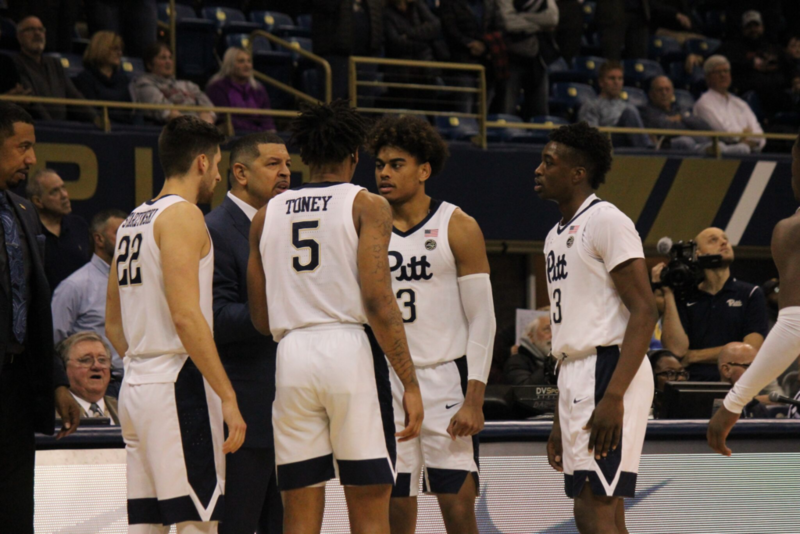 As impressive as the Pitt Panthers basketball season has been thus far, the only think that had eluded them was a win vs. a nationally-ranked opponent. The came close against Iowa, and North Carolina State, but their mission was accomplished as they upset #11 Florida State (75- 62). “McGowens was amazing again.” Said Capel on his young guard. And also, once again fellow freshman G Xavier Johnson was his sidekick as he shook off 7 turnovers and scored 18 points, most coming in the critical moments in the second half. 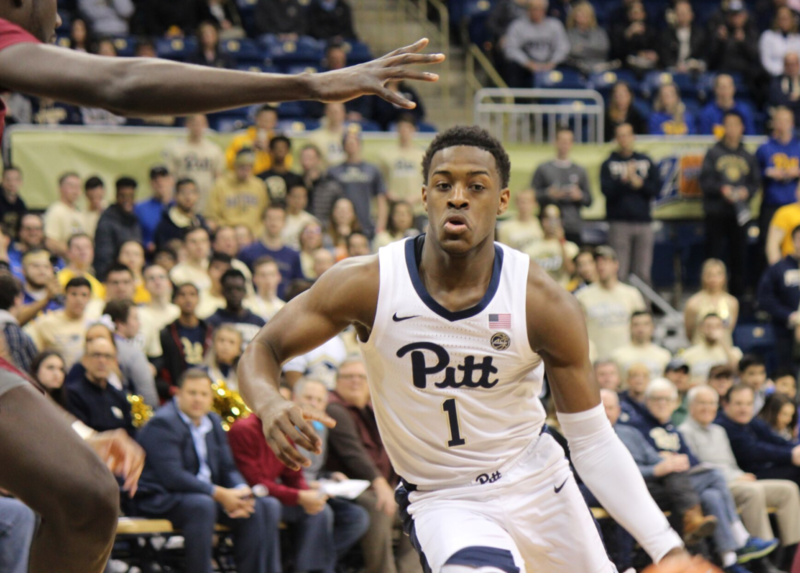 As was mentioned in the upset over Louisville, Johnson is proving to be an effective floor general, but as a freshman he’s continuing to get better on the job. 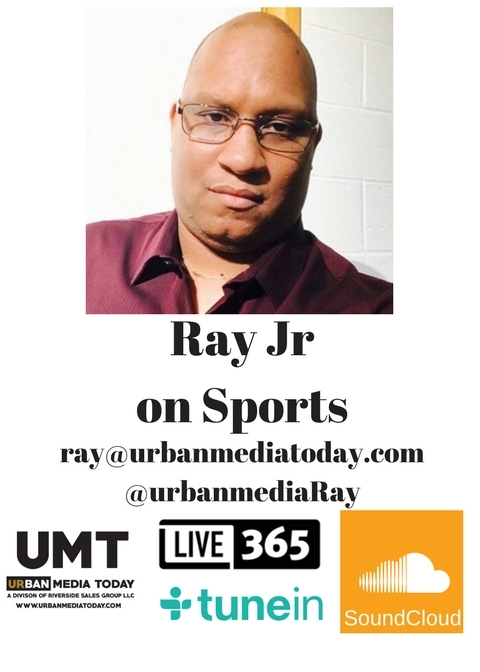 Overall, it was truly a team effort of a supporting cast that knew their roles: G Tony Au’Dise scored 9 points and led with 8 rebounds, C Terrell Brown had another stellar game with 6 points, 7 rebounds and 4 blocks, several on 7-4 Florida St. C Christ Koumadje. C Malik Ellison also came off the bench and scored 4 points and had a key 3-pointer and senior G Jared Wilson- Frame had 2 key rebounds off the bench. 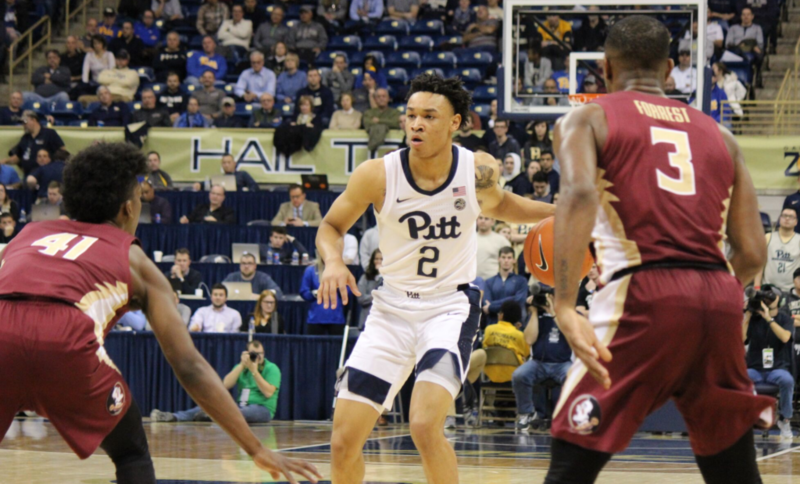 Trent Forrest scored 19 points for the Seminoles (13-4, 1-3), who lost for the third time in four games. And unlike their setback against No. 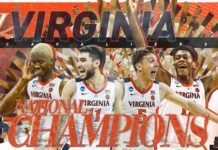 1 Duke last Saturday – when the Blue Devils won it at the buzzer – this was no last-second stunner. 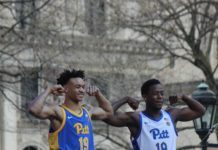 rack by attempting to rise over 6-foot-10, 250-pound Mfiondu Kabengele. 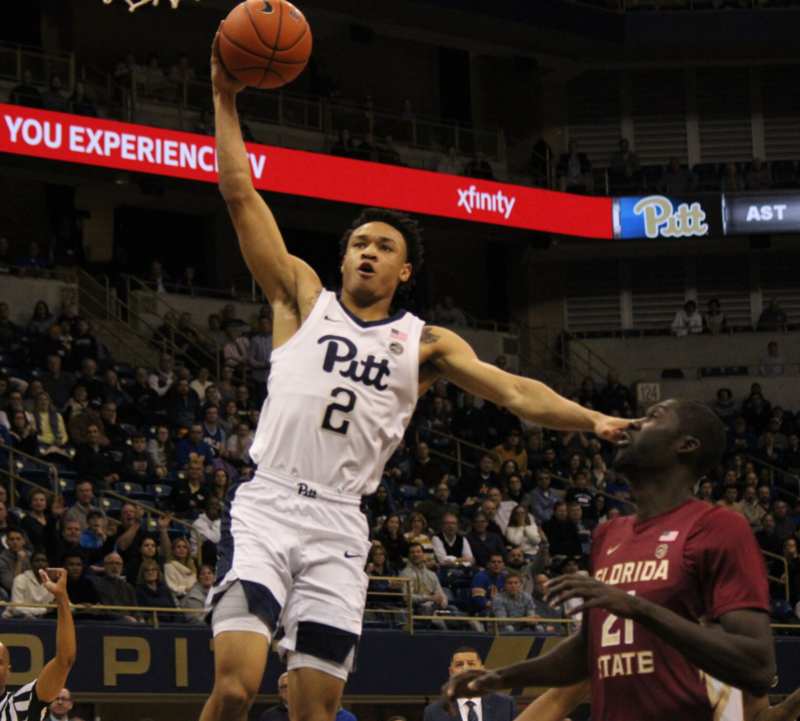 That dunk missed too but McGowens drew the foul and appeared to send a message that Pitt would not be intimidated. 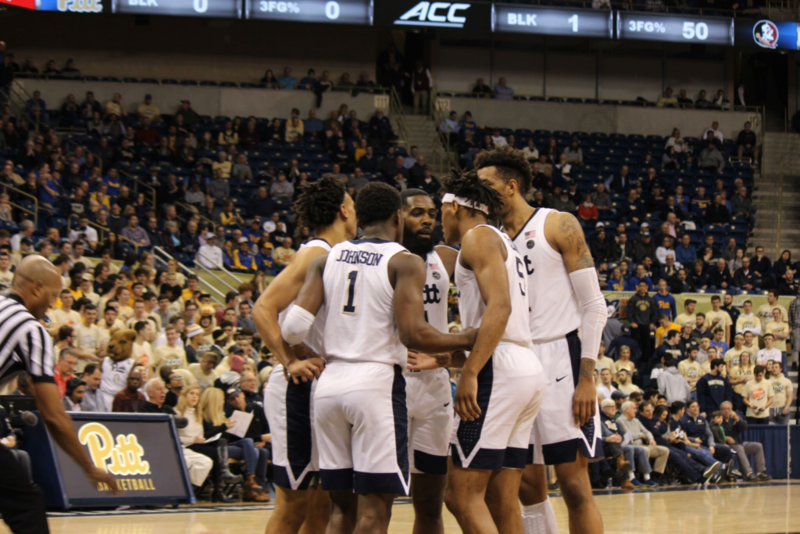 It translated into steady trips to the free-throw line and a 36-34 halftime lead, remarkable considering the Panthers missed their first eight shots and were outrebounded 19-12 in the opening 20 minutes. It was more of the same in the second half. 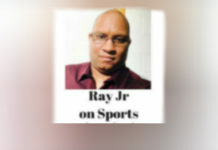 Two days after Capel chastised his team for a lack of composure late in a loss to North Carolina State, the Panthers responded by fending off the Seminoles each time it appeared they were in trouble. 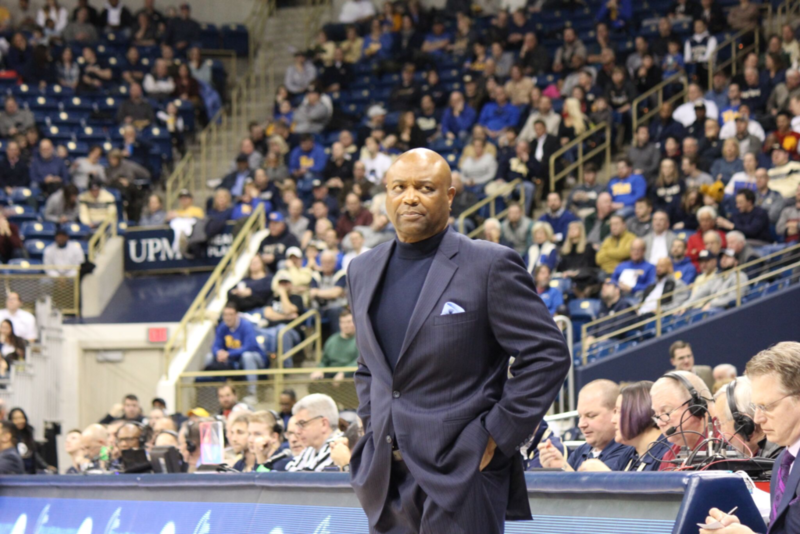 “Jeff has come in and brought that swagger back.” Said Florida State head coach Leonard Hamilton. 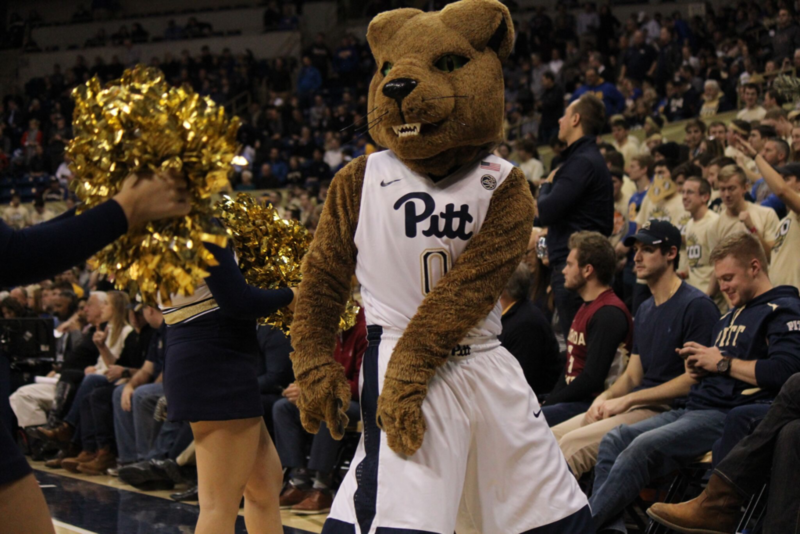 The Panthers are now 12-5 and 2-2 in the Atlantic Coast Conference (ACC) they will face a hot Syracuse team (12-5, 3-1) that also pulled off a huge upset over Duke Tuesday night. 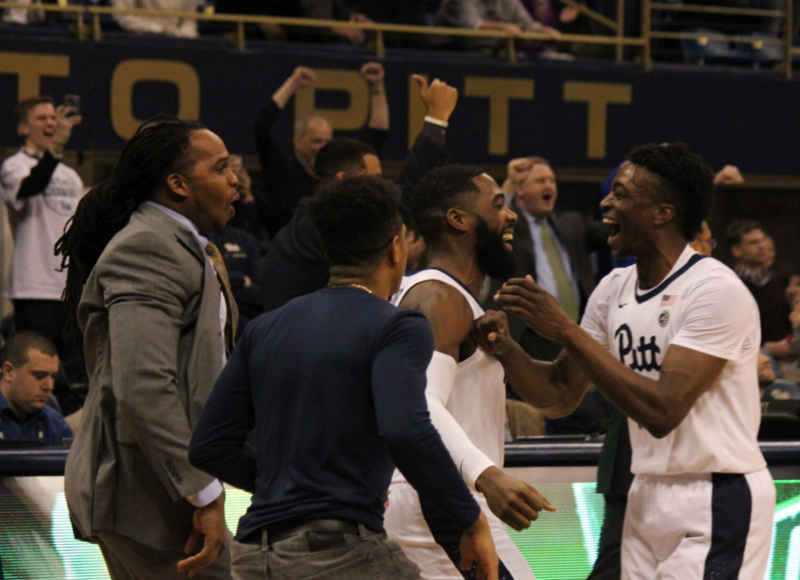 They will face the Orange at the Carrier Dome Saturday afternoon, then Pitt returns home next Tuesday night as they face the Blue Devils in a nationally-televised matchup.